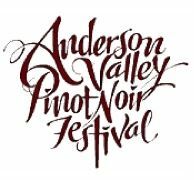 17th Annual Anderson Valley Pinot Noir Festival There is no better way to spend a in May than at the annual Anderson Valley Pinot Noir Festival. I never miss this spectacular event which this year will be held May 16-18. More than 45 producers will be pouring Pinot Noir, Pinot Noir Blanc, Blanc de Noirs and Vin Gris of Pinot Noir. On Friday, May 16, is a day-long technical conference aimed at members of the trade and avid Pinot Noir consumers. Conference topics include viticulture and winemaking in a drought, the multiple personalities of Pinot Noir, a tasting of Angel Camp Vineyard Pinot Noirs, and a presentation of Clark Smith on his book, “Postmodern Winemaking.” The conference will be followed by an outdoor barbecue at Foursight Wines featuring grilled lamb from Bones Roadhouse in Gualala, California and live music. After a press tasting on Saturday, May 17, in the morning, the Grand Tasting will again take place in the vineyards at Goldeneye Winery in Philo. A list of participating wineries is on the Anderson Valley Winegrowers website at www.avwines.com. Saturday evening local wineries will host three winemaker dinners in Anderson Valley. The weekend concludes on Sunday, May 18, with open houses at Anderson Valley wineries featuring special tastings, music and food. Tickets for the event are now on sale at www.avwines.com. 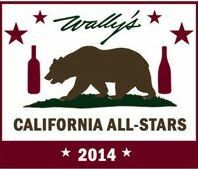 Wally’s Napa/Sonoma All-Stars Wine Tasting This event has gotten so big it has been moved from the store to the Hyatt Regency Century Plaza Hotel in Los Angeles. 100 “All-Star” wineries are pouring on Sunday, April13, from 1:00 to 4:00 PM. Pinot producers on the list include Belle Glos, Chanin, DuMOL, El Molino, Etude, Flowers, Freestone, Goldeneye, Hartford Court, LIOCO, Merry Edwards, Reuling Vineyard, Twomey and WALT. Tickets are $75 at www.wallywine.com. Burgundy Report Extra Launched Extra is a monthly subscription report that runs as part of the existing Burgundy Report. The first issue concentrates on the 2012 vintage - Bill Nanson’s thoughts on its intrinsic quality plus what and where you should buy. You can see what it contains and subscribe at www.burgundy-report.com/01-2014-burgundy-report-extra/. The annual charge is 85 Swiss Francs per year, converted to your local currency at the prevailing rate. This charge is non-recurring so you can elect to resubscribe if you like the Extra. The traditional Burgundy Reports, published three times a year will still be available (sign up for email alerts on the website). Willamette Valley Vineyards Estate Tasting Room Grand Opening The Grand Opening of the Estate Tasting Room and Barrel Cellars will be Saturday, May 3, from 11:00 to 6:00. There will be a progressive wine tasting and tour of the new facility with food pairings. The 2012 Bernau Block Pinot Noir, sourced from the original Estate plantings will be released to mark the occasion. Club Members and Shareholders will receive special futures tasting in the new members exclusive Club Room. Admission is $40 per person, $25 for Wine Club Members, Shareholders and their guests. Call 503-588-9463 or email info@wvv.com to reserve a tasting and tour time. Patz & Hall Sonoma House Opened Patz & Hall has announced the opening of its new Sonoma House at Patz & Hall at 21200 8th Street East, just a few miles south of the Sonoma town square. The Sonoma House features a luxurious new Tasting Salon where private, by-appointment seated tastings (Wednesday through Sunday) will be paired with gourmet food complements from Chef Natalie Niksa of La Saison. The Salon experience is $50 per person and lasts approximately one hour. The new location will also include by-appointment tastings at the tasting bar Wednesday through Sunday at a cost of $25 per person, a drop-in tasting bar accommodating guests if space is available, a member-exclusive Reserve Room, and an expansive patio surrounded by 12 acres of estate vineyards newly planted to Pinot Noir and Chardonnay. In addition, throughout 2014 and 2015, Patz & Hall will be partnering with California Home + Design and 7x7 magazine to host installations by artists and designers featured in both publications. 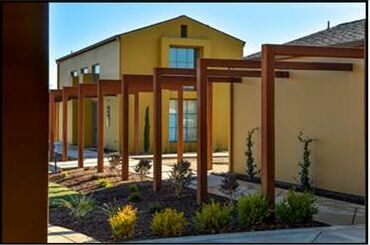 For more information, visit www.patzhall.com. Zalto Denk’Art Stemware These wine glasses are the new darlings of the sommelier world. Handblown in Austria, these glasses are light and thin, yet tough enough to put in the dishwasher. The reason they are tougher is that they are hand blown in one piece from the bowl all the way down to the base of the stem eliminating the weak point where the stem meets the bowl. The best prices online are now offered by Collectible Fine Wine, LLC for $53 a stem (minimum of 6) with free shipping. Order the Burgundy stems at www.collectiblefinewine.com. Russian River Valley Winegrower’s Pinot Classic A multi-day series of events will be held Memorial Day weekend, May 23-26, 2014 including a Paulée Dinner at DeLoach Vineyards on May 24 and Passport to Pinot barrel tastings on Saturday and Sunday from 11:00 to 4:00. In addition, a special seminar on the Russian River Valley’s neighborhoods initiative will take place on Saturday, May 24, from 10:00 to 11:30 at the Fountaingrove Inn. The Paulée Dinner will be special this year with a Pinot-inspired menu prepared by Michou Cornu, Director of Cuisine and Hospitality at Bosset Family Estates. Host wineries include Arista, Benovia, DeLoach, Joseph Swan, Hartford Family, Kosta Browne, Merry Edwards, Thomas George, Williams Selyem and more. A full VIP experience will be offered to 36 ticket holders to include an intimate VIP reception hosted at Kosta Browne with Russian River Valley winegrowers and producers. For more information and tickets, visit www.rrvw.org. 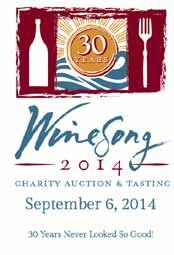 Winesong 2014 Charity Auction & Tasting This marks the 30th year of this annual event is produced by the Mendocino Coast Hospital Foundation with profits used to enhance equipment, facilities and services at the Mendocino Coast Hospital. Since 1985, Winesong has raised over $6 million for improvements in local healthcare. On Friday, September 5, 25 Pinot Noir producers who are members of the Anderson Valley Winegrowers Association will be pouring at the Little River Inn overlooking the Pacific Ocean (a list of participating wineries is on the Winesong website). On Saturday, September 6, the Winesong Wine & Food Tasting will be held in the Mendocino Coast Botanical Gardens, and features food from 50 of Mendocino County’s finest food purveyors, wines from many highly acclaimed Mendocino County wineries, and music from 9 different music groups. Also on Saturday, September 6, is the Charity Auction featuring both a silent and live auction. I have donated a Chehalem Mountains trip that includes signed trading cards from 28 members of the Chehalem Mountains and Ribbon Ridge Winegrowers Association and 28 signed bottles of wine from the producers. For information and tickets, visit www.winesong.org. Elk Cove Vineyards Buys Goodrich Vineyard Anna Campbell announced that Elk Cove has purchased the Goodrich Road Vineyard, a 69-acre property (21 acres of vines, 4 acres of Chardonnay and 17 acres of Pinot Noir) planted with Pinot Noir and Pinot Gris in the heart of the Yamhill-Carlton AVA. The vineyard was planted in 2007 in high-density format. The property has the same marine sediment (Willakenzie) soil as Elk Cove’s Mount Richmond Vineyard, also located in Yamhill, and is just a few miles from Elk Cove’s original Estate Vineyard in Gaston. Reserve quality and single-vineyard Pinot Noirs have been produced from this site by Raptor Ridge, Soter, King Estate and many others. This year marks Elk Cove’s 40th year growing grapevines in Oregon. Currently, winemaker Adam Campbell sustainably farms over 300 acres of primarily Pinot Noir and Pinot Gris grapes on 6 separate sites in the Northern Willamette Valley: Elk Cove Estate, Windhill Vineyard, Five Mountain Vineyard, Mount Richmond Vineyard, Clay Court Vineyard, and this newly acquired Goodrich Road Vineyard. The winery’s website is www.elkcove.com. New Partners with Evening Land Vineyards Rajat Parr and Sashi Moorman have been searching for the right opportunity to become a part of the Oregon wine community and consider Evening Land Vineyards an ideal complement to their portfolio of terroir-driven wines including Sandhi, Domaine de La Côte and Maison L’Orée. Alex Sokol Blosser Becomes Winemaker at Sokol Blosser For the first time in the history of the Oregon wine business, someone with the last name of Sokol Blosser is the head winemaker at Sokol Blosser Winery in the Dundee Hills. The son of Sokol Blosser founders Bill Blosser and Susan Sokol Blosser, Alex succeeds Russ Rosner, who retired after 15 years as winemaker at Sokol Blosser. Alex had previously taken over vineyard operations when his mother retired in 2006. His sister, Alison, is the the director of sales and marketing. Malolactic Bacteria’s Proteins Mapped According to www.thedrinksbusiness.com (February 26, 2014), a team of Spanish and Italian scientists have partially genetically mapped a bacterium that causes malolactic fermentation (MLF) in wine. The bacterium helps convert malic acid in wine to lactic acid to give the finished wine a smoother, less acidic profile. It is a process to which all Pinot Noir is subjected, as are some white wines to a greater or lesser extent. The study should be helpful in further research on the biochemistry of O. oeni ATCC BAA-1163. Hello Vino Launches New Wine App Hello Vino 3.7.1 is an all-in-one wine app developed for Apple’s iOS7, combining a wine recommendation engine with label scanner capabilities and personal wine ratings. This free app recommends the perfect bottle of wine according to meals, special occasions, or personal taste preferences. The enhanced wine label scanner utilizes image recognition in real-time to deliver information for a particular bottle of wine. The wine scanner feature adds an innovative fail-safe process, where an actual person will identify the wine label photo in real-time if the computer-based image recognition does not find a match. The wine label is then added to a database, enabling the Hello Vino app to identify millions of wines within thirty seconds or less. The new “vintage 3.7” update is currently featured on Apple’s “Best New App” and “Great Free Apps” lists in the App Store. Visit www.hellovino.com. Hello Vino acquired the “Instagram” app of the wine world Corkbin recently. Corkbin is an app that allows ine enthusiasts to save and post photos of their wines similar to the photo sharing app Instagram. While the Hello Vino app assists consumers before they buy wine, Corkbin helps the tracking and sharing of wine purchases. The combining of two mobile apps is the first of its kind in the wine industry. Human Nose Better Than Previously Thought Online at www.thedrinksbusiness.com (March 21, 2014), a study is reported published in the journal Science that suggests the human nose is capable or detecting billions more smells than the 10,000 smells previously assumed by scientists. The researchers believe the result is still an underestimation of the abilities of the human nose, because there are far more odorous molecules than the 128 studied. Results of The Pinot Noir Masters 2013 The Drinks Business Global Pinot Noir Masters event was a judging competition involving almost 300 bottles divided only by price bracket and whether style was oaked or unoaked. The judges had no sense of where the wines came from, but 16 countries were in the lineup. Wines scoring over 95 points were awarded the title of Master. New Zealand won the highest proportion of medals, gaining 25 medals from 27 wines entered. The United States had the sole Master, the competition’s highest accolade, awarded to the 2011 Schug Winery Carneros Pinot Noir. The United States also dominated the Gold Medals, gaining 6 of the 11 awarded in total. In total, North America (California and Oregon) gained 27 medals from 32 wines submitted to the competition. Chile got the most accolades overall, achieving 28 medals, but from 44 entries meaning Chile also had a large number of wines which did not receive high scores. France did not score well because there were few entries from the expensive end. Update on Sonoma Town Plaza Tasting Rooms As a followup to my article on tasting rooms in downtown Healdsburg and Sonoma, I should note that the Sonoma City Council voted this week to not limit the number of wine tasting rooms in the Sonoma Town Plaza area. Most Popular Restaurant Wines The Wine & Spirits 25th Anniversary Restaurant Poll of sommeliers was published in the April 2014 edition. The average restaurant price for Pinot Noir was $74.31, a few dollars more than Chardonnay and Merlot and about $24 less than Cabernet Sauvignon. The average price of a glass of wine has been slowly climbing, reaching $12.94 in 2013. The most popular choices by the glass were Chardonnay, Cabernet Sauvignon and Pinot Noir. The most popular by the glass Pinot Noirs were Belle Gloss Clark & Telephone Santa Maria Valley Pinot Noir and Meiomi Sonoma Coast Pinot Noir (#2 overall ranking), Decoy Sonoma County Pinot Noir (#5), La Crema Sonoma Coast Pinot Noir (#26) and La Follette Van de Kamp North Coast Pinot Noir and La Follette Sonoma Coast Pinot Noir (#29). Pinot Noir is the second most popular varietal selection behind Cabernet Sauvignon. Oregon and California Pinot Noir were about equally popular. The ten most popular Pinot Noirs were in order: Cristom, Belle Glos, La Crema, Domaine Serene, Domaine Drouhin, Emeritus, Hirsch Vineyards, Failla, Decoy and Ken Wright Cellars. This issue of the magazine also reviews 122 exceptional Pinot Noirs. I personally believe Wine & Spirits, along with The Journal of Fine Wine, are the two best wine periodicals in the marketplace. Pigs & Pinot Winners The 9th Annual 2014 Pigs & Pinot winners: Pinot Cup - 2010 MacPhail “The Flyer” Russian River Valley Pinot Noir (Runner up was 2011 Twomey Bien Nacido Vineyard Santa Maria Valley Pinot Noir); Sommelier Smackdown - 2010 Soliste Foret Sonoma Coast Pinot Noir (with over 90% of consumer votes) and 2011 Trombetta Gap’s Crown Sonoma Coast Pinot Noir.